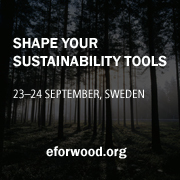 The Final EFORWOOD Conference was held in Uppsala, Sweden, from 23-24 September 2009. The conference brought together researchers, policy makers and practitioners from all over the world in discussion about Sustainability Impact Assessment of the Forest-based Sector. 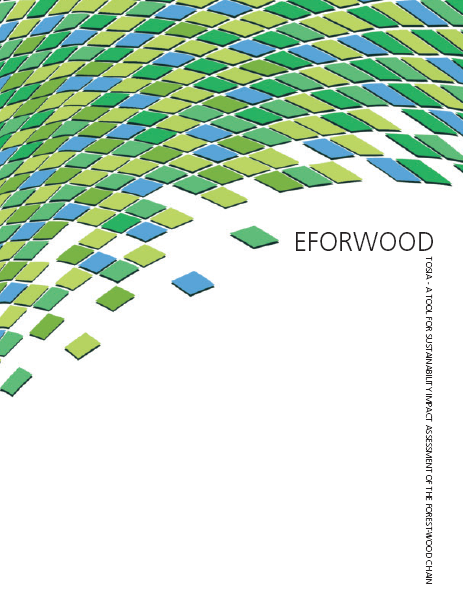 The Final EFORWOOD report now is available. ToSIA (Tool for Sustainability Impact Assessment) represents a dynamic sustainability impact assessment model that is analysing environmental, economic, and social impacts of changes in forestry-wood production chains, using a consistent and harmonised framework from the forest to the end-of-life of final products. The Web versions of ToSIA (including ToSIA demo) available on http://tosia.efi.int . Project supported by European Commission (FP6). The following paper “ToSIA—A tool for sustainability impact assessment of forest-wood-chains” Lindner, M., Suominen, T., Palosuo, T., Garcia-Gonzales, J., Verweij, P., Zudin, S. and Päivinen, R., 2009, published on line. To access the paper click here. The Congress will include one week of plenary sessions, parallel sessions, presentations, discussion, parallel events and exhibits. Deadline for abstract submission is 31 December 2009, although submissions well in advance of the deadline are strongly encouraged. Acceptance decisions will be made no later than 10 February 2010. The event will bring together leading scientists and policy makers to take stock of current research into the management of ecosystem services for human well-being. Dear EFORWOOD partners and stakeholders! The EFORWOOD project is now finished. The short version of Final Report is now possible to order or download from this website. Furthermore you will soon be given the possibility to register as a member of TMUG "ToSIA Management and User Group" - a follow-up activity of EFORWOOD.